Spring has arrived along with a sense of newness. We love new things. New clothes, new cars, new jobs, new relationships, new babies, new ideas. There’s just something about newness that gives us that fresh start feeling. Inevitably, the newness does wear off and we are left with the desire for something else that is new. I know I crave a fresh start everyday. A “do over” of sorts, especially when I lose my patience in mommy world or get anxious about the future. God’s mercies are new every single morning. That’s a fresh start we can count on. The newness that returns day after day. We may take it for granted, but it’s a shame if we do because it’s a fresh start….everyday. Something to look forward to. Something to bring joy, relief, and peace. It’s the ultimate “do over”. Let’s focus on blessings today. Blessings like a brand new healthy baby, a new friend, answered prayers, the love of family, and the encouragement from friends. Everything from quiet time with a hot cup of coffee in the morning to Abby’s smile and hearing Elle say “thank you mama” and “kisses” before bed are all such precious and personal blessings to me! We each have our very own. I am guilty of paying more attention to what I lack than what I have. I want a fresh start and forgiveness from that. I want to focus on what God graciously GIVES because He does and He LOVES to do so. Let’s all take the time to count our blessings and recognize His gifts. 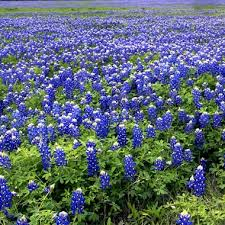 Spring has definitely sprung in Texas so let’s all thank God for fresh flowers, fresh rain, fresh air, and fresh starts!